#Auto Erase legislation signed into law by North Carolina Republican Governor Pat McCrory went into effect, December 1, 2015. It was first introduced by state Senator Floyd McKissick who garnered support from his Republican colleagues by including language about identity theft and wrongful identification. The road in North Carolina wasn’t easy. It sailed through the Senate but stalled in the House of Representatives. Even I, someone who often steers from the race debate, can see it plainly like those who champion #BlackLivesMatter, that race did play a part in this. But, in Charles is a valuable “strategy” lesson, often forgotten in the Civil Rights movement discussion. Activists in the sixties who marched, were often beaten and killed by police officers. But they didn’t turn back. Their strategy was to bring attention and increase awareness. Their sacrifice made it possible to advanced landmark Civil Rights legislation. Fifty years later their efforts also make it possible for Charles to convince a southern legislature to pass #AutoErase legislation. Today, can be drawn from the sixties today, of Blacks being killed by police officers. But now, although Officer Darren Wilson got away with the murder of Michael Brown, the Black Lives Matter movement has propelled a national conversation. And we see, body cameras funded by municipalities and states in South Carolina, because of advocacy and an outcry about the senseless murder of Walter Scott by Officer Michael Slager. Charles during the interview, said emphatically, “I Survived!” Words Tamir Rice, Eric Garner, Oscar Scott and Laquan McDonald and will never say. The post, I read before meeting Charles three months later. Charles is fighting that battle by going to conferences like the National Black Caucus of State Legislators (NBCSL) and National Hispanic Caucus of State Legislators (NHCSL). This year, both passed policy resolutions supporting #AutoErase. He intends to use them to get support from other national organizations like the American Bar Association. #AutoErase will also become the law in Illinois January 1, 2016. Arizona, Rhode Island, Pennsylvania and South Carolina introduced #AutoErase legislation this year. It died in committee in Arizona but will be reintroduced in 2016. The Rhode Island House of Representatives passed it but the Senate did not. It too, will be reintroduced in 2016. It is still alive in Pennsylvania and South Carolina where legislators will take up the legislation in 2016. Draft legislation has been crafted in Michigan by Representative Bert Johnson. In Ohio, Florida, Maryland, Georgia, Wisconsin, Tennessee, New Jersey and the US Virgin Islands, legislators have promised to introduce it during next year’s legislative sessions. Former professional tennis player, James Blake’s who was mistakenly tackled and handcuffed by police in a Manhattan hotel just like Charles. This just another example of overzealous police officers misuse of the public trust because to them someone “fit the description.” The police culture of power has existed too long. It has permeated the upper and lower echelons of our society and should be replaced with the idea of responsibility of protecting not destroying the public trust. Whether it was the overseer policing slaves, to the officer wearing a cloth over his head, hanging and shooting Blacks, during segregation, it is wrong. Today, with no whip or hood, officers have without repercussion, shot unarmed men and women. Charles survived, but his good name was damaged, at least for a little while, by officers, who said he fit the description. His journey to right this wrong, has him on a crusade to make sure this never happens to anyone again. He can use your help, so that this doesn’t happen to you, or anyone we know. Please follow his journey, and if you can, support his cause to make #AutoErase the law of the land! Follow him @CharlesBelk on Twitter and Facebook. His nonprofit is Fitting the Description and use the #AutoErase and #FittingtheDescription or visit www.fittingthedescription.org. Stay up to date on what’s going on in your state by sharing your info on these sites. And if you want to help Charles, please reach out to him and/or call your state legislator and find out if they know about #AutoErase. Together, we can make a difference! 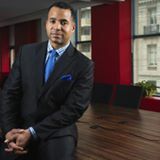 Charles Belk is President/Producer at I Will Make You A Star Productions and Adjucnt Professor Pierce College. He is the founder of the organization and executive director of Fitting The Description.